Schwartzel pulled off a five-shot Sunday comeback the biggest in the history of the Valspar Championship. 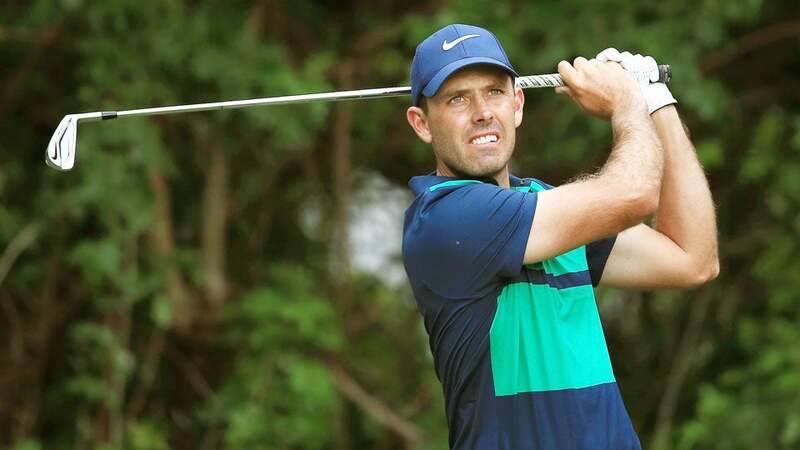 PALM HARBOR, Fla. (AP) Coming up on five years since winning the Masters, Charl Schwartzel was starting to wonder if he would ever win again on American soil. He didn't have much reason to think that would change Sunday at the Valspar Championship. Schwartzel was five shots behind going into the final round on an Innisbrook course that was tougher than ever, and still three shots behind as he approached the toughest part of the Copperhead course. What followed were extraordinary shots, and a playoff victory over Bill Haas. All it took was a 65-foot birdie across the green on the 13th. He got up-and-down for birdie from a tough lie in the bunker. His go-for-broke pitch from a dicey lie on the edge of the bunker on the 16th hole allowed him to save par. And he made a 25-foot birdie putt he couldn't afford to miss on the 17th. Schwartzel closed with a 4-under 67 - the best score Sunday - and won on the first extra hole when Haas made bogey from a bunker. Haas had a two-shot lead with three holes to play, and he was torn between whether he let one get away or whether the South African simply won it. Schwartzel and Georgia senior Lee McCoy (69) were the only two players from the final nine groups to break par. The difference was Schwartzel making two long birdies, and Haas making bogey on the toughest hole at Innisbrook on No. 16. In the playoff, Haas hit into the trees, came up short into a bunker, and blasted out of the soft sand about 20 feet away and missed the par putt. McCoy felt like as big of a winner as Schwartzel. The 22-year-old in his final year of college grew up next to Innisbrook and made good on his first sponsor's exemption. He played next to Jordan Spieth, the world's No. 1 player, in the final round and looked like a pro on his way to finishing alone in fourth. It was the best finish by an amateur in a PGA Tour event of top players since 17-year-old Justin Rose tied for fourth at the British Open in 1998 at Royal Birkdale. Robbie Shelton tied for third last year in the Barbasol Championship, held opposite the British Open. McCoy would have earned $292,800 had he been a pro. Spieth fell behind early, never caught up and closed with a 73 to tie for 18th, seven shots behind. He couldn't help but applaud McCoy when he finished his round. Schwartzel and Haas finished at 7-under 277. It was the highest score to par to win on the PGA Tour since the Spieth won the U.S. Open at 5 under. Steve Stricker was two shots out of the lead until he made a double bogey on the par-5 11th and never recovered. Graham DeLaet of Canada, starting the final round one shot behind and determined to get his first PGA Tour victory, never made a birdie in his round of 75. Ryan Moore hit the ball great and couldn't figure out the greens, which were slower than normal. Moore was within one shot of the lead at the turn, but he closed with 12 straight pars for a 71 to finish two shots out of the playoff in third place. It also was a tough day for Ian Poulter, who had a 75-75 weekend and tied for 67th. That bumped Poulter down to No. 67 in the world ranking, which could knock him out of the Dell Match Play. This was the final week before the world ranking is used to determine the 64-man field (Jim Furyk and Henrik Stenson are not playing). PGA Tour rookie Patton Kizzire closed with a 72 and tied for 33rd, enough to move past Poulter.